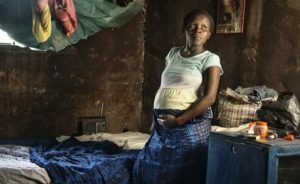 The healthymagination Mother and Child Programme — launched in March 2016 by GE and Santa Clara University’s Miller Center for Social Entrepreneurship to address maternal and child mortality by supporting African social entrepreneurs operating in the health sector — has taken the first big step toward achieving its objective: selecting the first group of social enterprises that will receive training and mentoring. After a rigorous evaluation process, 17 social entrepreneurs from Burundi, the Democratic Republic of the Congo, Ethiopia, Ghana, Kenya, Nigeria, Rwanda, Uganda and Zambia were selected to be in the programme’s first cohort and are currently attending a three-day, in-person workshop in Nairobi, Kenya. This kick-off event packs core business lessons into a powerful three-day event facilitated by senior-level Miller Center mentors and GE business leaders. It is designed to help the social entrepreneurs acquire business fundamentals, improve their strategic thought processes, and articulate a business plan that demonstrates impact, growth and long-term financial sustainability. “We are excited to work with our first cohort of social entrepreneurs to improve mother and child care in Sub-Saharan Africa. This program builds on GE’s strong track record in bringing innovation to emerging markets while increasing positive health outcomes,” said Robert Wells, executive director of strategy for GE’s healthymagination commitment. The initial workshop will be followed by a six-month, online accelerator programme, where mentorship will be provided by high-profile Silicon Valley-based executives who have themselves undergone mentorship training by Miller Center. This accelerator and mentorship programme will culminate in a “Premier Pitch” event in Africa where the 17 participants will present their respective enterprises to an audience of potential investors. This training and mentoring that blends Silicon Valley entrepreneurial principles with venture impact investing utilizes Miller Center’s Global Social Benefit Institute (GSBI®) methodology, which has been proven and refined through 12 years of working with more than 570 social enterprises worldwide. Participants will also be introduced to GE’s portfolio of products; hence they will gain specialized support and training on technologies and resources for the maternal and child health sector.